Throughout the book are also a collection of meanings of different animals such as rabbits, magpies, ravens, and more. 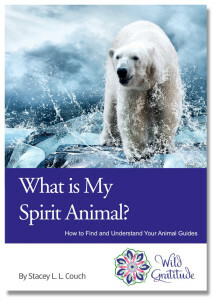 Instead of having an online quiz tell you what your spirit animal is, how about using your own intuition and know-how to discover your spirit animal yourself? This guide will lead the way. “Wild animals are reaching out to connect with us all of the time. First and foremost, I want to extend my heartfelt gratitude to you for noticing their invitation and for putting in the additional effort in to learn more about the spiritual meaning of animals in your life.